As a kid I was always intrigued by the epic explorers and adventurers of history. (Yes, I may have been somewhat of a geek, which was definitely not very cool at the time!). My imagination was fired up by Columbus’ discovery of the New World, the travels of Marco Polo, Sir Edmund Hillary’s first successful Everest expedition and Neil Armstrong’s first step on the moon. So it’s probably not surprising that I eventually left my safe corporate legal career to take the entrepreneurial route instead. Much to the understandable horror and disbelief of my friends and family. 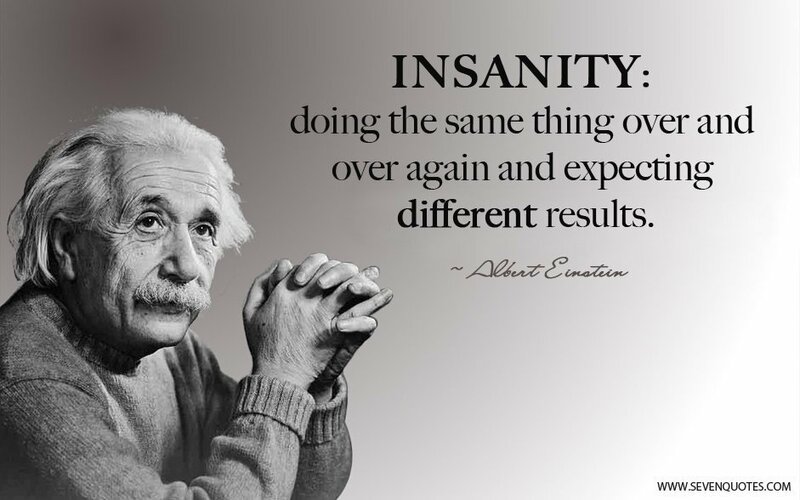 Einstein was a pretty smart guy, so I reckon he had a point. Yet many of us join the herd, commuting to work daily, and I would guess that most are unhappy. What stops them from trying something new? The fear of the unknown. It’s ironic that the two industries my startup has chosen to disrupt are removals and insurance. Everybody moves at some point in their lives. No real uncertainty there. And insurance is all about buying security and protection from uncertainties like death, car accidents or fires. Now let’s examine entrepreneurism. Entrepreneurial innovation is all about taking big risks. Big risks that can have completely unknown outcomes, which is radically opposite of all the insurance policies we surround ourselves with. The history of business is the history of dreamers and entrepreneurs. Those rare individuals who cast aside the security of a paycheck, mortgaged everything they had, and chased a dream that ended up creating our futures. From Henry Ford and Thomas Edison to Richard Branson, Elon Musk and Karren Brady, these people all took risks. And all have left their mark on the world. The great economist Joseph Schumpeter referred to this process as the “perennial gale of creative destruction”. The tempo of business is not one of stability, order, and a level playing field, but rather of disequilibrium and instability. Stability and equality only exist in graveyards. Both the insurance and removals industries are traditional and predictable. They’ve seen very little change in the way of digital innovation. This means that any startup attempting to bring technology to these industries is thrown automatically into the hairy realms of uncertainty. According to Steve Blank, a startup is “an organization formed to search for a repeatable and scalable business model.” In other words, during the early years of a startup everything is uncertain. The whole purpose of a startup is to go from uncertainty to certainty – or from nothing but an idea to a repeatable and scalable business model, to use his words. So a startup is effectively a laboratory. A giant experiment. Execution therefore should revolve around a series of interlinked mini experiments with the view to figuring out a solid value proposition along the way and to arrive at a repeatable, scalable business model. Period. There is a analogy I often use to describe what it’s like running a startup. Imagine being in the middle of a jungle, with no map. The destination is clear to you – it’s a specific location on the other side of the jungle. How to get there, however, is unclear. You may have an idea. Hell, you may have many ideas on how to get there. But ultimately, you do not know for sure. The very notion of the above scenario quite naturally freaks lots of people out. It’s human nature to want structure, a step-by-step plan or a clear path. I’ve lost count of the number of people who thought it would be ‘cool’ to work at a startup, only to return to the safe environment of a corporate, with its staff policies and pensions and career plans. And that’s ok. Start ups are not for everyone. But you’re not everyone, so you’ve decided to find a way. So how do you go about navigating the jungle? Most would agree that simply plowing your way through the jungle in one direction, never stopping to reassess your chosen path, would not be sensible. You would most likely run out of steam and get eaten by a tiger somewhere along the way! The same applies to startups who stick to their initial hypothesis and scale way too fast, before proving that their model works at a micro-level. This phenomenon is called premature scaling, and it is to be avoided at all costs. It’s like betting all of your chips on one number on the roulette wheel. Not a good idea. It’s much smarter to start your journey mindfully. And that means carefully assessing the situation each step of the way. Looking for clues to support the direction you take. Maybe you find some footsteps to follow or a small trail. You may even find a trickling stream which, when followed, flows into a river that will help you get to your destination quicker. The latter metaphor can be applied to a situation where you may unearth a surprising source of revenue which was not part of the original business plan – but when fully exploited turns into a healthy, consistent revenue stream. Ok, enough of jungle references already. The point is that, although your path is unclear, there are proven methods to help you arrive at your destination (bearing in mind that your ultimate destination may be different from what you had originally thought!). One such method is the oh so popular ‘Lean Startup Methodology’. Many people in Startup World preach the gospel of Lean Startup and treat the idea’s creator, Eric Ries, like he’s some kind of god. But, when you dig beneath the surface, there are not many startups that truly employ it. The Lean Startup method teaches you how to drive a startup – how to steer, when to turn, and when to persevere and grow a business with maximum acceleration. It is a principled approach to new product development. Now, I may risk getting some angry responses with what I’m about to say, but, like all theories, lean startup methodology is not perfect. You should tweak and adjust in accordance with individual situations. That said, the foundations are sound. The theory is basically this… Too many startups begin with an idea for a product that they think people want. They then spend months, sometimes years, perfecting that product without ever showing it, even in a very rudimentary form, to the prospective customer. When they fail to reach broad uptake from customers, it’s often because they never spoke to anyone to find out whether their product idea was useful – or even mildly interesting. When customers ultimately show, through their indifference, that they don’t care about the idea, the startup fails. The backbone of Lean Startup thinking is validated learning – and it’s a rigorous method for demonstrating progress when you’re embedded in the muddy gloop of uncertainty. Once entrepreneurs embrace validated learning, the development process can shrink substantially. And that’s not all. By testing rudimentary forms of your product with prospective customers – by getting their feedback and buy-in before the product is perfect – you can develop something for which there’s a market. Something people are more likely to find useful or appealing. The secret to being an entrepreneur is becoming comfortable with being uncomfortable. Just as Lewis and Clark set out from St. Louis towards the West, they had no clue where they would end up. They just went west! They were comfortable with not knowing what they would encounter during the journey or where they would end up. Lewis and Clark were explorers, but they were also the epitome of an entrepreneur. Coming to terms with the fact that thousands of decisions lie ahead in the future and are totally unknown today is the #1 thing founders need to do when starting a company. And the 2nd most important thing for them to do? Focusing on the two most important decisions they’re facing right now – whatever those may be. Tomorrow, two more challenges will need to be addressed, and you will focus your attention on those. Outside of establishing a vision and plotting the direction of how to get there, most other aspects of building and growing a company will fall into place as you make the day to day decisions that present themselves. Let’s be honest. It’s easy to say that you need to get comfortable with uncertainty. But in reality, this is a major challenge. We naturally crave safety and security, and operating in a startup environment often doesn’t provide that. Anyone who has studied occupational psychology in some form or another will be familiar with Maslow’s Hierarchy of Needs. 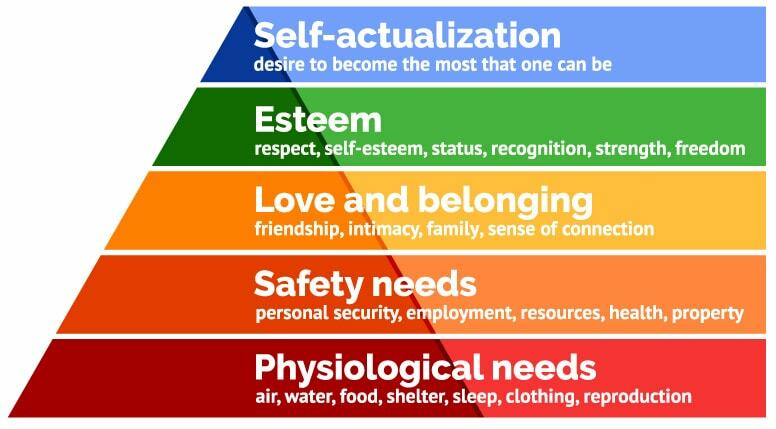 Often represented as a pyramid with five levels, this is a motivational theory in psychology that argues that once people meet their basic needs, they seek to meet successively higher needs. The unique nature of early stage startups is that it actually fulfils more of the higher order needs than the lower order needs – which often feel under threat as a result. It takes a robust psychological approach, or a solid sense of self-security, to excel in a startup. The company’s vision is your North Star. You have to believe that what’s at the other side of the jungle is worth all of this effort, otherwise you might as well just sit down on the jungle floor and be eaten by a giant python or wait to be helicopter rescued by Bear Grylls! I’ve said that a startup is a giant experiment. So it’s helpful to see your own job within a startup as an experiment too. That doesn’t mean you don’t take your job seriously, of course. It means that you approach your job as a series of hypotheses, the results of which you measure constantly. You then use these metrics to analyse what works and what doesn’t, and then you adjust. This way you keep progressing. The added bonus is that you can celebrate small wins along the way. When you fail, take heart. You’re supposed to fail as part of this process, but when you do it’s important to reframe that failure as feedback that a given approach did not work and that you need to find another way. See point 2 above. Measurement drives progress and is the anchor of reality. When you know what does and doesn’t work, you can learn from the small failures you’ll inevitably experience. If you don’t measure, those small failures will compound and destroy the business. The difference between those who are successful and those who are not is not failure. We all fail at some point. The difference is that those who succeed persevere and ultimately find a way. So be solutions-oriented in everything you do. At Buzzmove we have a rule that every problem that is identified and reported should be accompanied by at least three suggested solutions. I’m a great believer in mentors. And I’ve been very lucky to have had an excellent coach guiding me along my way. So if I’ve ever been completely befuddled as to whether what I’m doing is right then I will talk to her. Find your wise sage – whether from within or outside of the business – to help guide your journey.